The Bebop was amazing! Im so glad Nift gave me an excuse to go and try it, I will definitely be back. The Cocoa Kisses Martini and Arancini appetizers were particularly delicious. This establishment is beautiful. Great music, delicious food, friendly service! Service was slow because they didn't have anywhere near enough staff on during the dinner rush, but the servers were very nice and the food was delicious, especially the lamb. Excellent food and a great value. Professional and friendly staff. A very enjoyable experience and one we are sure to repeat! Generous portions. Pretty decent bluegrass/trad session aswell! Food was great, but the music — the second band we saw — was way too loud. It was amazing! Great food, great service, great music! Highly recommend - I will definitely come back. aexcellent food & service. Congenial staff & a terrific music venue. An all around nice place to include an accomodating vegan & vegetarian menu. Definitely a 5 on the recommendation scale. good music, atmosphere. kitchen closed when i arrived, but good beer. Cool spot. I never would have gone to this part of the city without this Nift. Shepard’s pie was delicious and the live music was really fun! I just wish they had a full liquor license! The food was very good, I will definitely return. The only reason I’m only getting four stars is because I only ordered one item, I came in by myself. I have good hopes the rest of the menu is just as delicious . I've walked by a number of times, but never walked in. I was very satisfied with the service, bluegrass band, and food portion size. The food and service were both wonderful! Highly recommend this restaurant! I will be back. The food was really good and I definitely plan on going back! Food was tasty and the bartender was very nice! Absolutely loved it!! Food and atmopshere was awesome. Loved my meal and the love music. Waitress was so kind! Definitely will return!! I'm always impressed at how easy it is to use Nift! Awesome experience! Great service and yummy burger. Lightest pancakes I've had in years... great band! The portion sizes were huge for brunch, the live music was great, and the drinks were tasty. Maybe all a bit too high of a price tag? But overall would definitely recommend and go back! Good food and a very nice place for live music! Food better than expected. Good atmosphere. Solid homemade veggie burger. Great value great food ! Good food, good prices, and great live music! Bartender was very friendly and efficient. Really enjoyed it. Thanks for intro. I would return. Excellent brunch menu. We especially appreciated that our main dishes came plated with fresh fruit or sauteed vegetables - nice touch that shows off the freshness of the food. Servings were large, especially for the reasonable prices. We chose to go for Saturday brunch to check out their "Gypsy Jazz", free music noon to 3 - very nice. They have live music free every day, so we'll be back! Fun vibes, very large portions. Great food and loved the live music!!! Excellent evening out — thanks! Noreen and Liam were great! So attentive and definitely a 5 out of 5! Live music was great! Would return. Everything was awesome! Environment, food, music, and service were all incredible. It was my first time there, and I’ll definitely be visiting again soon. Food, music, & service were great! Yes!!! Staff was great and the Bluegrass brunch is awesome! So glad to have another great venue in the area! The food and live music was great! The Bebop had delicious food and amazing service! The food was excellent, an eclectic option of such a variety, we couldn't choose! We will definitely go back! We went for the live music and it was fantastic! I'll be going back! 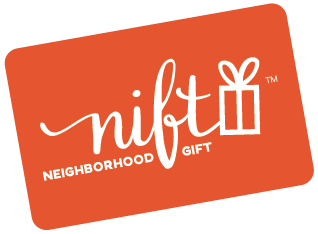 Nicely priced and the gift card from nift made it so reasonable!! Good food, good music, good drink, good service! Awesome time! Stopped in for a late lunch. Even though we didn’t get to enjoy some music, we loved the burgers! We’ll have to come back to sample something from the extensive beer menu. Great food and nice wait staff ,too ! Will return . I love the atmosphere, the food, and the drinks! I would go many more times! The Bebop was the type of place that Nift is made for! I'd never heard of it before, and I probably would not have gone there if not for my Nift. Of course, I LOVED it and can't wait to go back and bring all my friends. Great food, beer, and atmosphere! The live music is always fun, and the fish and chips are amazing! The live music was fun! The food, service, and music contributed to an enjoyable dining experience. Great music and food! We will definitely be going here again. Food was amazing and reasonably priced! great new spot...delicious food, very friendly service! It was the first time for me and my friend at The Bebop. The bartender was friendly and we enjoyed the food, drinks, and music! It was nice to discover a new place. Thank you for the gift certificate. Nice pub atmosphere with live music, friendly waitstaff, and delicious fish and chips. We had dinner at the Bebop and had a great experience. All of the food was delicious, they had s good drink selection, and the service was excellent. I scheduled my arrival for after the live music, because of my own weakness in range for musical appreciation, but when I got there Emily Sangder was just setting up. I was floored by the quality of her voice and enjoyed the performance. I also found my meal high quality and inventive. I had the Beer Batter Fish, but due to diabetes I got delicious asparagus instead of the chips and it seemed toasted at the tops. The fish came with tartar sauce w a hint of pepper that was excellent. I loved it. Delicious! Great quantities! Fast service! Got take-out but the atmosphere was awesome - definitely coming back. Great atmosphere, really loved the live music!